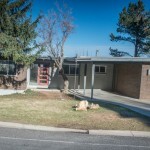 Are you looking into remodeled homes in Salt Lake City? The Muve Group has plenty of those! 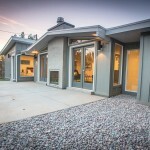 As a matter of fact, we are one of the best online sources for off-market remodeled properties in Salt Lake City. Between the remodels that we do ourselves and the inventory from our Muve Approved remodelers, chances are we have something that will fit your needs. Every so often we sit back and look through some of our before and after pictures of past projects and just can’t help to share them with you so you can see the transformation for yourself. 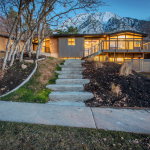 The Mid-Century Modern Muve Approved home in Olympus Cove is one of our most recent favorites. This project was one that was done by one of our favorite investor clients. We are a bit late posting but, like they say, better late than never. 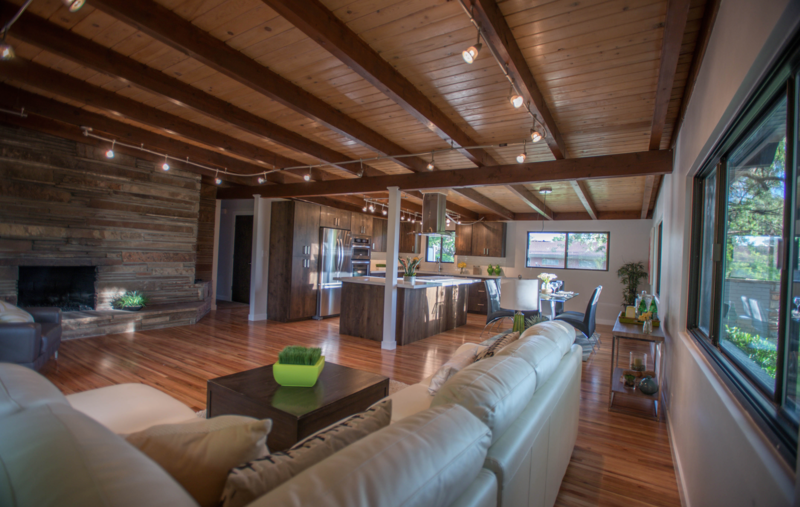 Some highlights from this project are of course the exposed beams and tongue & groove ceilings in the great room which is just something you can’t find in new construction these days. We bagged the red shag carpet even though your grandma would throw a fit if she found out. Knocking down a few walls doesn’t scare us and has been quite common with us over the years as it allows us to make way for a big master and killer master bath. If you like the work they did here be sure to check out their next project that we will be publishing an update on shortly. It’s also a mid-mod in The Cove. Let’s just say they have a few tricks up their sleeve. Spoiler alert! You can expect a rooftop master with a private deck capturing a breathtaking view of Mt. Olympus and a spiral staircase thrown into the mix as well. Stay tuned!